This is a terrific superfood that you simply must include more of in your diet. 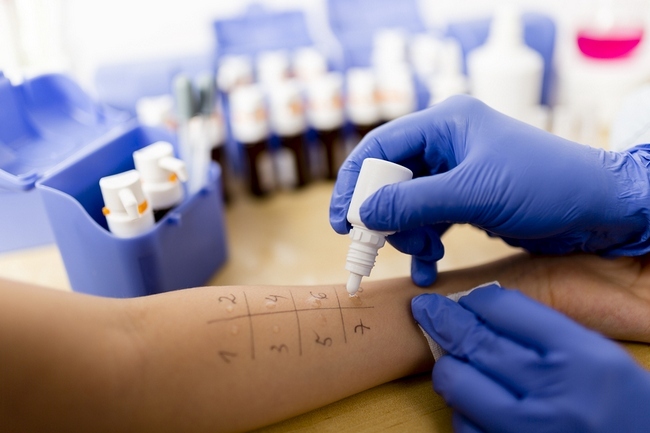 Its ability to inhibit certain enzymes that generate inflammation in the body is one of the most potent in nature and can go a long way towards helping to prevent allergic reactions. Garlic also has antibiotic, antioxidant, and immune improving compounds that can prevent a trip to the doctor for an anti-histamine shot during peak allergy seasons. 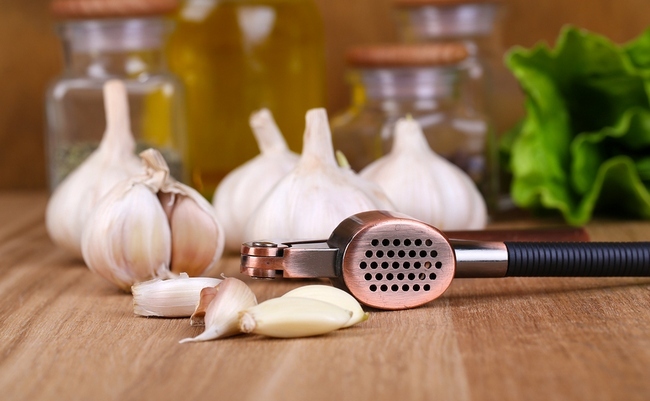 Garlic should be slightly crushed to release its active ingredient, alllicin. Crush one or two cloves of organic garlic, and then swallow them whole. You can also add sliced or crushed garlic to your cooking for added protection. Eating collard greens regularly can also help to prevent seasonal allergies. The photochemical in this vegetable, carotenoids, are well-known for easing allergic reactions. Also, to improve your immune system function, collard greens also have plenty of vitamin C. Buy dark green collard greens as these have the highest levels of carotenoids. To get the most out of this vegetable, don’t overcook them. It’s best to lightly sauté them in a bit of olive oil. Let’s change that old adage to read, “An apple a day keeps allergies at bay!” Apples are a great source of quercetin, a powerful flavonoid which can offer protection from allergic reactions. By stabilizing the cell membranes, quercetin prevents the release of excess amounts of histamine, the hormone that causes those allergic reactions. Eat one or two organic apples each day. Any variety will do which ever flavor is your favorite is the one you should choose. Apple juice is also a good choice, but the fiber and added nutrients found in the skin of apples can’t be beat for so many health reasons. Lemons are an excellent way to not only improve your immune system, but to prevent allergies before they start. This fruit works as an anti-toxin and will keep your body alkaline at the same time. 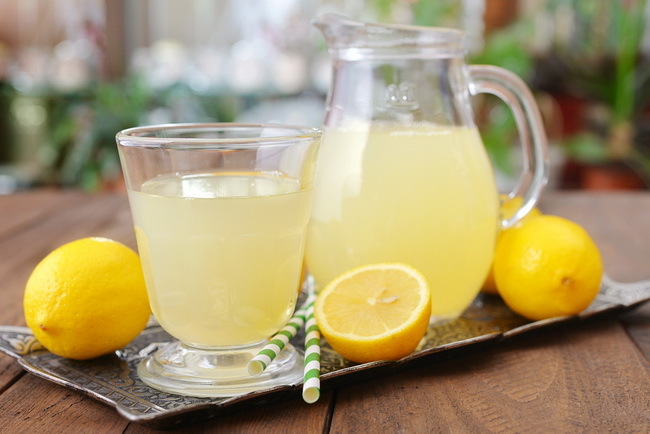 Simply squeeze half an organic lemon into a glass of water and drink several glasses throughout the day. 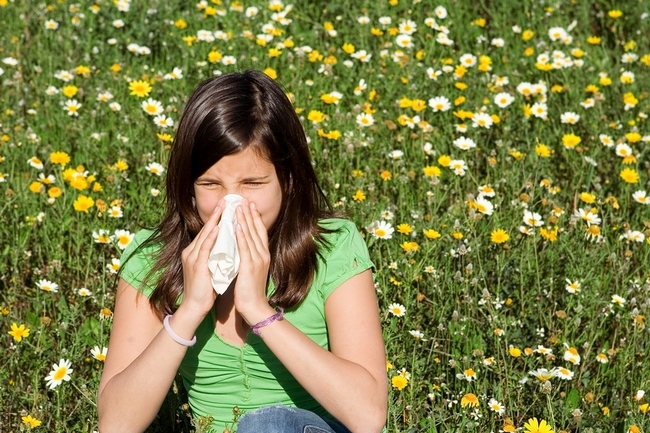 This will not only stop allergies but remove toxins and other impurities from the body. Oh yes, and when we talk about red grapes we are also talking about red wine, friends! Resveratrol, the antioxidant in red grapes has powerful anti-inflammatory compounds that can reduce allergy symptoms. One study, performed in 2007, found that children in Crete who consumed a traditional Mediterranean diet, which includes red grapes and wine, had less nasal allergy symptoms and less wheezing. Of course, this isn’t an excuse to overindulge in wine. One glass each day for women and two glasses for men is the maximum but there are always sweet, juicy fresh grapes that you can indulge in to your heart’s content. Fatty fish like salmon and trout are high in the omega-3 fatty acids EPA and DHA. 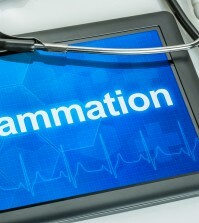 These types of fatty acids are excellent at fighting inflammation and can calm your allergic reactions. Salmon is known for improving lung function as well as reducing the severity of allergic reactions such as congestion and wheezing. Try to include at least two portions of salmon every week, all year long and eat a minimum of 3 servings during peak allergy seasons. This is another powerful anti-allergy spice you should definitely be adding to your diet. 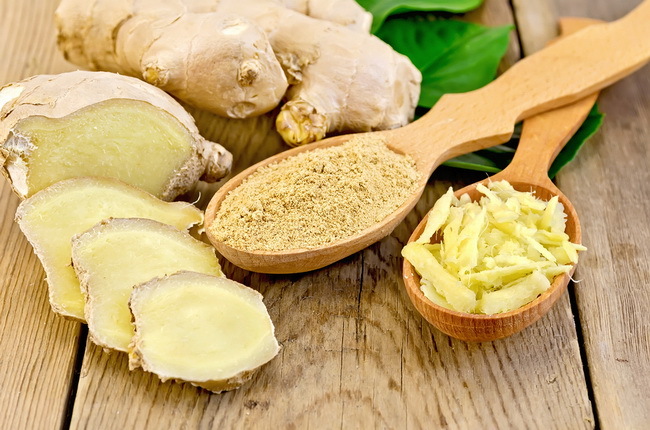 Packed with antioxidants and anti-inflammatory power, ginger works better than many antihistamine drugs when it comes to fighting inflammation. Ginger can also inhibit the secretion of mucus and stop airway constriction, which is a tremendous relief for allergy sufferers. Drink two cups of ginger tea each day. You can also try adding ginger to your foods for added protection. Most of us only eat sweet potatoes during the winter months, but you should really add them to your diet each week of the year. Sweet potatoes have the highest concentration of beat-carotene, potassium, and B6, all of which fight inflammation in the body. Most people automatically think of citrus fruits when it comes to vitamin C, but sweet potatoes are also loaded with this immune boosting vitamin. 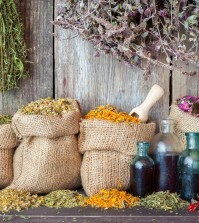 They also have unique proteins that contain powerful root antioxidant compounds. Try eating at least ½ cup of sweet potatoes two or three times each week to strengthen your immune system and prevent allergies before they begin. Foods that are rich in anthocyanins, a phytonutrient that gives food a purple/reddish color, are known to be natural anti-inflammatories. Anthocyanins are found in dark red or purple foods such as red cabbage, beets, cherries, raspberries, boysenberries, as well as purple and red grapes. Of course, any of the above foods could be allergens for you, so if you know you have sensitivity to any of the above foods and spices, avoid them.